Enclosing a fascinating past in itself, iolite is an amazing stone, which was once used by the Mariners as the compass to guide their way through the sea. With shifting shades of blue and violet, iolite carries the spirit of dreams, imagination, journey, and exploration. It is also referred to as the Vikings compass because other than just practically being used as a compass, Iolite provides the person to move spiritually and physically from one area to another. Iolite also includes in itself a unique property, which is known as pleochroism. Pleochroism is a phenomenon with which one can see a kaleidoscopic effect when the stone is seen in different positions. Iolite is also called as the “Water Sapphire”, and has derived its name from “ios”, which means violet. Iolite is mainly found in countries such as India, Mozambique, Sri Lanka, Zimbabwe, Norway, Brazil, and Greenland. The amazing iolite is credited to support the liver by promoting the detoxification of the body and reducing the fatty deposits. It regulates digestion, strengthens the nerves, enhances the growth of nails and hair, helps the people suffering from paralysis and numb limbs, and tolerating the pain. It has also been used as a treatment for malaria and other disorders producing fever. Iolite is also believed to heal the pains of a migraine, headaches, dizziness, Meniere's disease, and troubles related to eyes. Furthermore, it also stimulates memory and averts nightmares, sleeplessness, and sleep disturbances. Iolite helps the wearer to examine his deep self. It helps in reducing the fear of unknown or unsurpassed. It connects a person to his soul and inculcates inner peace and self-confidence in him. In case of hardships, iolite helps in solving even seemingly impossible problems. When a person wears this incredible gemstone, he gets the feeling of calmness, tranquility, optimism, hope, courage, and decisiveness. Iolite holds violet-blue energy that stimulates the third eye, opens communication and awareness, and directs the wearer’s sight. The third eye is the centre of the person’s sensitivity and control. The consciousness of the human being stays there, and we relate to ourselves through this chakra. The healing and balancing of the third eye are necessary to make the thoughts and internal communications vibrant and healthy. Iolite opens up the wearer to new ideas, visions, and dreams and controls the flow of energy within all the chakras. Iolite may also inspire the Crown Chakra, which is located at the top of the head. Crown chakra is a gateway to the prolonged universe that is beyond our physical beings, and controls the thinking and the way of responding to the world around us. It is the source of our values, beliefs, and spirituality. Iolite is an excellent crystal for knowing the details of inner visions, journeying, and illuminating continuous growth. It strengthens the deep and significant bond between the mind and the heart. In shamanic healing, Iolite is used to influence the spirits, and in powerful medicinal benefits. Wearing Iolite Jewelry assists in awakening the imagination and intuition. It is a great gemstone for tarot readers, astrologers, and other such mediums. 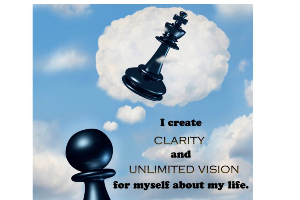 It also is beneficial for past life regression. Iolite cleans the aura of the wearer, and takes him near to his soul and helps him in connecting with the god. It both braces and supports with the subtle bodies. A violet iolite inspires the feeling of admiration, mystery, magic, luxury, and nobility. Being one of the most powerful beams of nature, the rays of iolite help us to know what our dreams want to convey to us. It also instils in the wearer the feeling of doing good deeds and accomplishing tasks. The indigo iolite is the combination of both blue and violet rays. It brings to the wearer the sense of dignity, wisdom, truth, and spirituality. Iolite promotes introspection and is considered to be the stone providing long-life and decisiveness. Dark indigo Iolite inculcates honesty, faith in religion, and spirituality while light indigo Iolite unites the wearer with the natural world. 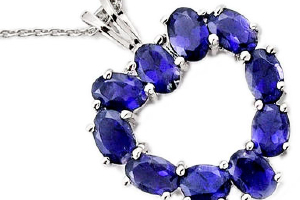 This stone is often mistaken for Tanzanite. Iolite is the perfect gift for the 21st anniversary. The Viking mariners in ancient times used this violet beauty as a polarizing factor in terms of a secret gem weapon. It was also used as a polarizing lens for navigating the directions and determining the near-to-correct position of the sun. Iolite is believed to free the wearer from all sort of debts and helps him in managing the money well. Iolite is largely used to embellish men’s accessories, it is used in tie pins and cufflinks. The chemical composition of iolite is magnesium iron aluminium cyclosilicate and is the variety of the mineral Cordierite which was named after French geologist. The mineral Cordierite is typically found in regional or contact metamorphism of argillaceous rocks. The tenacity of an iolite is brittle, and on Moh’s scale of hardness, it measures 7-7.5. 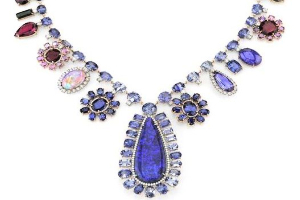 Due to its hardness and pleochroism, iolite is one of the most complicated stones to cut. Being a transparent variety, Iolite is considered as a gemstone, and it fluctuates in color from sapphire blue to blue-violet to yellow-gray to light blue as the angle of the light changes. The energies of this activated chakra help the soul to see his inner self along with the world around. The indigo hue of Iolite represents spirituality, truth, wisdom and dignity. My requirements from a gemstone are somewhat same. Should I choose it to wear? Please suggest I need it. Yeah Liza… if you think that this gemstone suits your requirements then you should go for it after discussing with your astrologer. He will read your horoscope in detail and will recommend you a gemstone might be Iolite that will be suitable for you. I have read that Iolite is mistaken for Tanzanite so can you please give me some identification tips for this gemstone so that it will easier for me to choose the best and true charm. Hello Hadley, you may ask any query related to gemstones on our new section named Ask Mittens. our expert will get back to you. Thank you!! all the properties specifically metaphysical properties of iolite is unique...so you may notice these features of it to distinguish it from the other gemstones.. Thanks Jill, I will notice this property of Iolite when I will purchase it from collector. Iolite creates a strong constitution, ridding the body of fatty deposits. It diminishes the effect of alcohol and supports detoxification and regeneration of the liver.